There’s a lot going on in the seafood industry nowadays, and not all of it good. In fact, most of it is really bad, leading with the severe ocean pollution and acidification. Sadly, the fish are affected in ways scientists are just now realizing. Overfishing is a global issue, causing the overexploitation of more than one-third of global fish populations. So what are the best consumer choices when it comes to sustainable seafood? In addition to our oceans and seas becoming dangerously depleted, the industry is also dealing with extremely high mercury levels in fish. This problem is exacerbating, partly due to the massive amounts of coal we burn. It seems like the bad news are piling, so is there something you can do to stop the overexploitation? Here’s the good news. 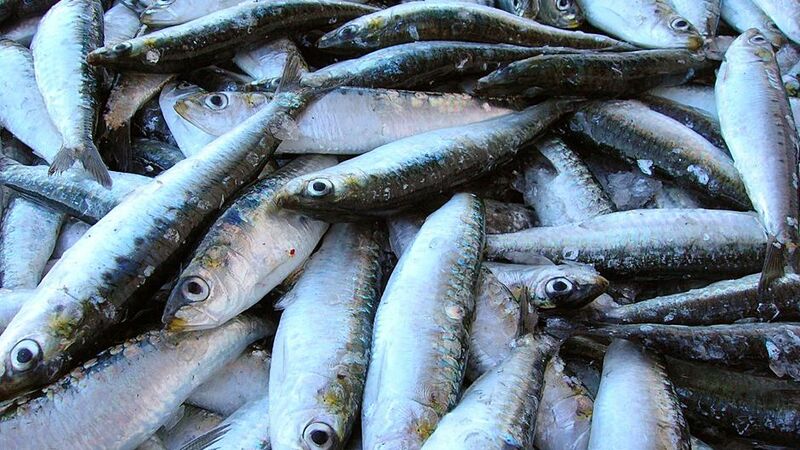 The sustainable-food movement has started thriving, as more consumers develop a sharper awareness of the fish they eat. Thanks to organizations both national and global, people find out more information about the origins and hazards of the seafood they’re eating. Today we share some tips to help you make smarter choices when shopping for seafood. High levels of mercury in the body can lead to serious health issues, including the disruption of brain functions and the damaging of the nervous system. A risky neurotoxin, mercury is especially dangerous for young children and pregnant women. As a rule of thumb, smaller fish—such as sardines, squid, and scallops—contain less mercury than larger species (think tuna and swordfish). Why? Because the latter are higher up the food chain, which means they eat the small fish and absorb their contamination. For instance, if a tuna consumes some anchovies, the tuna takes in the mercury of said anchovies into its own body. Take a look at his handy chart to figure out which fish are safe to eat and which you should avoid when it comes to mercury levels. This guide amasses data from two federal agencies: the U.S. Food and Drug Administration (responsible for testing fish for mercury), and the U.S. Environmental Protection Agency (which determines mercury levels considered safe for women of childbearing age). According to National Oceanic and Atmospheric Administration (NOAA), people in the U.S, eat about 5 billion pounds of seafood annually. Unfortunately, as much as 90 percent of that fish comes from China, Vietnam, and other countries that lack stringent management laws. Without statutory catch limits, many fish species have become overfished and harshly exploited. However, there are other problems involved. Bycatch, for example, is the inadvertent capture of marine species like sea turtles and dolphins in the fishing nets. In addition, harmful harvesting methods and illegal affairs like bottom trawling can cost legal fisheries billions of dollars annually. These issues apply to local fisheries, as well, not just foreign ones. The seafood imported into U.S. is significantly more farm-raised overseas instead of wild-caught. This fish are often raised in factory–like conditions where they get exposed to harmful antibiotics and chemicals, stashed in bacteria-laden ice, and even fed Salmonella-tainted food. And the worst is that the U.S. Food and Drug Administration (FDA) only reviews around 2 percent of all seafood imported from abroad. So our suggestion is to stick to what comes from closer to home. Even though American fisheries have made fast steps toward terminating overfishing and reviving exhausted populations under federal fisheries law, some species (like the Atlantic cod) are still suffering. If you want to buy sustainable seafood – raised and caught responsibly – you can use this easy app by Monterey Bay Aquarium’s Seafood Watch. For years, Americans predominantly eat the same five types of seafood: salmon, shrimp, tilapia, canned tuna, and pollock. Unfortunately, each of these comes with its own concerns. High demand often leads to overfishing, habitat destruction, unsafe catching methods, and abuse of antibiotics. Meanwhile, the ocean waters along the U.S. coasts are not just protected, but also teeming with thousands of savory and sustainable fish species. Scup and mullet are widely understated. You can choose these often underappreciated species to minimize damage and encourage the rebound of U.S. fisheries. Farm to fork is a popular initiative, but what do you think of boat to fork? Fisheries supported by communities encourage agriculture programs where customers pay a price to have a regular share of a farmer’s harvest. Luckily, such sustainable efforts are significantly growing in popularity across the nation. If you want to know exactly where your fish comes from, how it was caught and who caught it, we recommend joining a community-supported fishery. Small-scale fishermen – who are the most sustainable, often use lower-impact catch methods like hook and line, or laying traps. These programs help boost the economy of regional fishing while also increasing demand for local seafood. 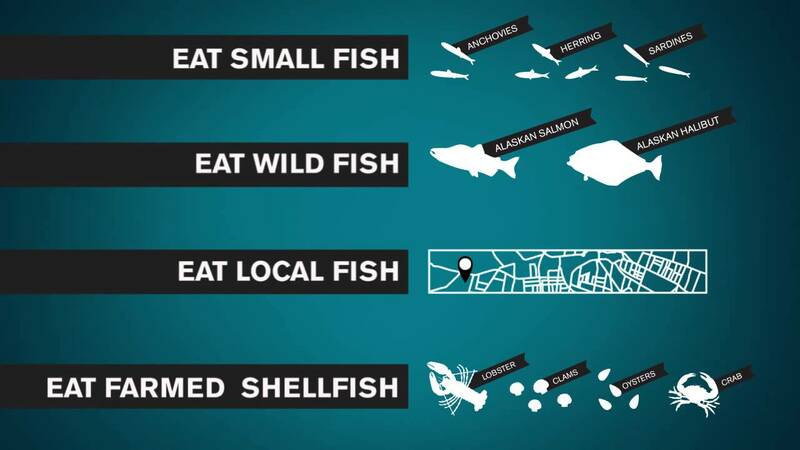 If you don’t have any sustainable fisheries in your area, purchase seafood from trusted restaurants and retailers. Some businesses follow higher standards for the seafood they sell. Others are committed to designing plans for long-term, sustainable seafood. You can also ask if a store or restaurant provides sustainable fish; simply asking helps mold demand for responsibly-farmed and caught fish. Meanwhile, you can also look for seafood that takes the guesswork out of buying responsibly through their useful labels. Learn about the varied certification initiatives and which labels to look for when buying seafood. For instance, the Marine Stewardship Council is one of the leading certification programs in the world. These constructive general rules can help a lot when it comes to choosing seafood that is both healthy and sustainable. However, there are other tools you can apply to stay on the safe side. Monterey Bay Aquarium’s Seafood Watch, for example, uses an exact, science-based process to rank seafood options as “best choices,” “good alternatives,” or fish to “avoid.” Download the app before going shopping or ordering at a restaurant. It’s the easiest way to use your dollars to support sustainable seafood.